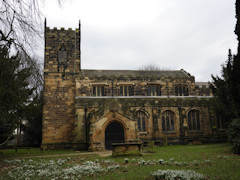 St Michael and Our Lady is the parish church serving the Nostell Priory estate in the grounds of which it stands. The GPR holds 32 grave and 89 person records for the burial ground. The status of the photographing of the burial ground is 50% complete.